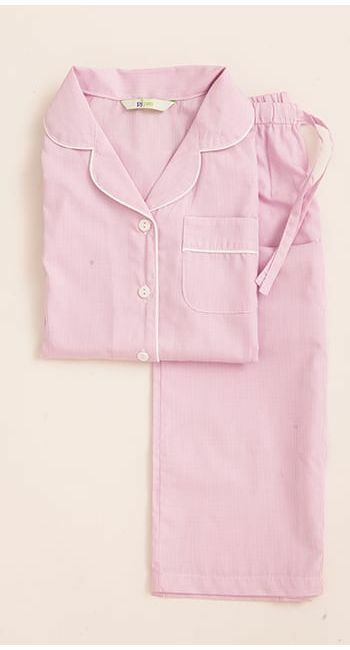 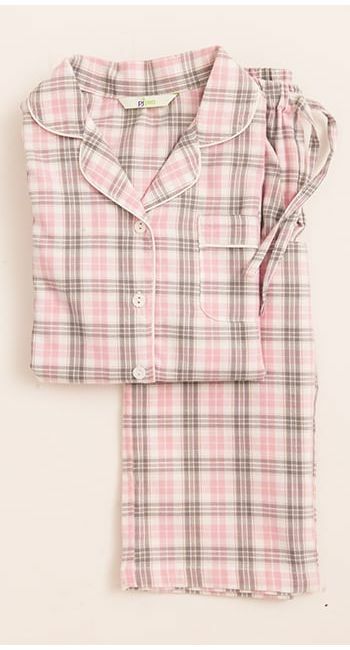 These pretty plain pink pyjamas are finished with real shell buttons and cream piping. 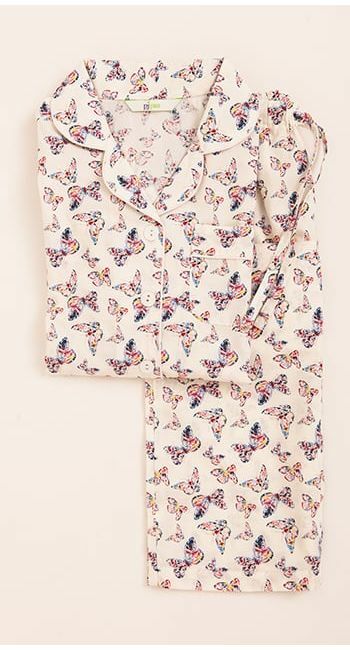 Featuring our usual pretty tapered jacket and straight leg trousers with an elasticated waistband and functioning drawstring. 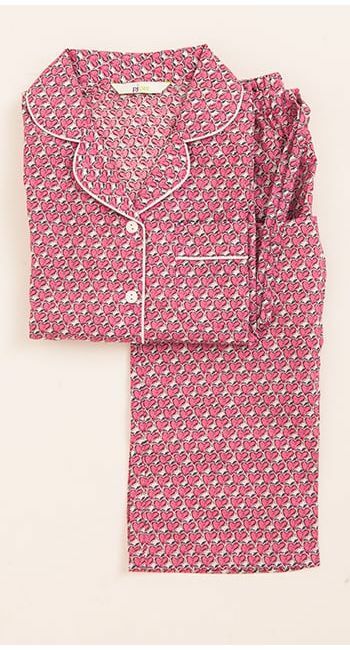 This fabric is also available in the women's pyjama collection if you're looking to buy matching mother and daughter nightwear.